Hello everyone. As many of you know, we are based in Pennsylvania and many of our users are in PA. The Board of Game Commissioners gave preliminary approval to a slate of deer seasons for 2012-13 that retains the split, five-day antlered deer season (Nov. 26-30) and seven-day concurrent season (Dec. 1-8) in 11 Wildlife Management Units. The Key two points for me that were new for 2011 and kept for 2012-13 relate the 3-up rule, which I like. The other is the split of the Doe Season from Buck season for certain WMUs. I am not a fan of this for the 2A WMU. What do you think? HARRISBURG – The Pennsylvania Board of Game Commissioners today gave preliminary approval to hunting and trapping seasons and bag limits for 2012-13, including a move to allow Mentored Youth Hunting Program participants to take part in fall turkey seasons. The public may offer comments on all proposed 2012-13 seasons and bag limits, as well as other Board actions, between now and the Board’s next meeting, April 23-24, at which time the Board is scheduled to finalize seasons and bag limits for 2012-13. Also, the Board will receive staff recommendations for antlerless deer license allocations for the 22 WMUs at its April meeting. 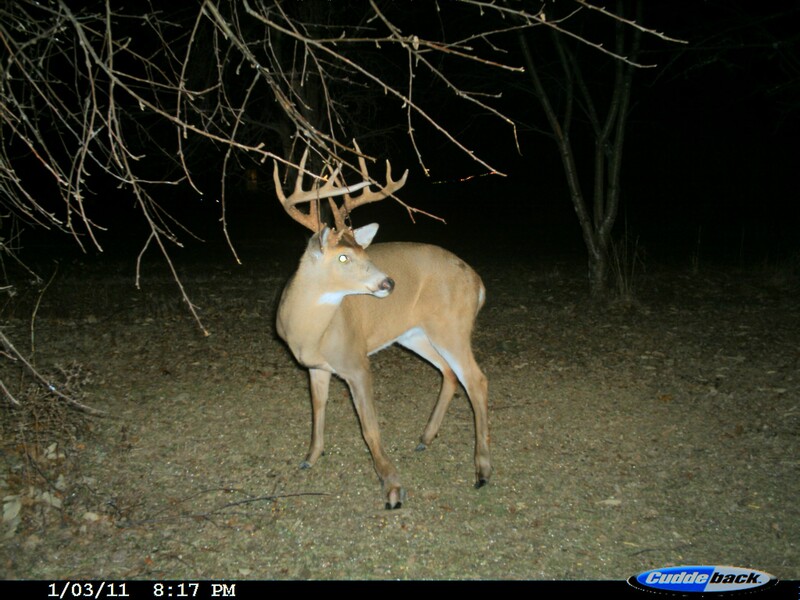 Deer harvest estimates for the 2011-12 seasons will be available in mid-March. The Board of Game Commissioners gave preliminary approval to a slate of deer seasons for 2012-13 that retains the split, five-day antlered deer season (Nov. 26-30) and seven-day concurrent season (Dec. 1-8) in 11 Wildlife Management Units. The list includes (WMUs) 2A, 2C, 2D, 2E, 2F, 2G, 3B, 3C, 4B, 4D and 4E. The package also retains the two-week (Nov. 26-Dec. 8) concurrent, antlered and antlerless deer season in WMUs 1A, 1B, 2B, 3A, 3D, 4A, 4C, 5A, 5B, 5C and 5D. Hunters with DMAP antlerless deer permits may use them on the lands for which they were issued during any established deer season, and will continue to be permitted to harvest antlerless deer from Nov. 26-Dec. 8 in WMUs 2A, 2C, 2D, 2E, 2F, 2G, 3B, 3C, 4B, 4D and 4E. Fees for DMAP permits are $10 for residents and $35 for nonresidents. Additionally, the Board also gave preliminary approval to retain the use of crossbows in the archery deer seasons. The Board took this action by removing the sunset date inserted in the regulations when crossbows were first permitted to be used in the archery deer seasons. The Board retained the antler restrictions enacted for the 2011-12 seasons, which includes the “three-up” on one side, no counting a brow tine, provision for the western Wildlife Management Units of 1A, 1B, 2A, 2B and 2D, and the three points on one side in all other WMUs. The Pennsylvania Board of Game Commissioners today proposed allowing hunters in Wildlife Management Units (WMUs) 1A, 2B, 5B, 5C and 5D to harvest black bears during all deer seasons from September through early-December, as well as during statewide bear seasons. If approved in April, bear hunters will be able to participate in an archery bear season in WMUs 2B, 5C and 5D from Sept. 15-28; in WMUs 1A, 2B, 5B, 5C and 5D from Sept. 29 until Nov. 10; a muzzleloader bear season in WMUs 1A, 2B, 5B, 5C and 5D from Oct. 13-20; a firearms bear season in WMUs 1A, 2B, 5B, 5C and 5D, from Nov. 26-Dec. 8. Only 1 bear may be taken during the license year. The Board also proposed retaining the statewide archery bear season, four-day general firearms bear season and extended seasons in all or portions of certain WMUs. “Pennsylvania’s black bear population is larger and more widely distributed than ever, and bear-human incidents are becoming commonplace, especially in more developed areas,” said Carl G. Roe, Game Commission executive director. “Continued expansion of residential development into areas occupied by black bears has resulted in more frequent sightings and encounters between people and bears. The slate of 2012 bear seasons, which must be given final approval in April before taking effect, includes: a statewide five-day archery bear season (Nov. 12-16); a four-day statewide bear season that will open on Saturday, Nov. 17, and then continue on Monday through Wednesday, Nov. 19-21; and a concurrent bear/deer season in WMUs 3D, 4C, 4D and 4E, Nov. 28-Dec. 1. Also, a concurrent bear/deer season has been proposed to be held Nov. 26-Dec. 1 in the following…. The Pennsylvania Board of Game Commissioners today gave preliminary approval to fall turkey seasons for 2012 and spring gobbler dates for 2013, and took action to add fall turkey to the line-up for those participating in the Mentored Youth Hunting Program (MYHP). If approved at its April meeting, adult mentors would be able to transfer one fall turkey tag to a mentored youth if the youth harvests a fall turkey. The fall season dates for 2012: Oct. 27-Nov. 10 and Nov. 22-24 for Wildlife Management Units (WMUs) 1A, 1B, 2A, 2C, 2D, 2E, 4A, 4B and 4D; Oct. 27-Nov. 16 and Nov. 22-24 for WMUs 2B, 2F, 2G, 3A, 3B, 3C, 3D, 4C and 4E. The Board proposed holding the one-day Spring Gobbler Youth Hunt on April 20, which will run from one-half hour before sunrise until noon. All junior license holders and Mentored Youth Hunting Program permit holders can participate in this special one-day hunt, as well as the other spring season dates. Additionally, the Board took steps to allow MYHP permit holders to participate in fall turkey seasons. If approved in April, fall turkey would be added to the list of eligible species that MYHP permit holders could pursue. The present list of legal species for the MYHP is: antlered deer; antlerless deer, with the transfer of an antlerless deer license from the adult mentor; coyotes; groundhogs; squirrels and spring gobbler….